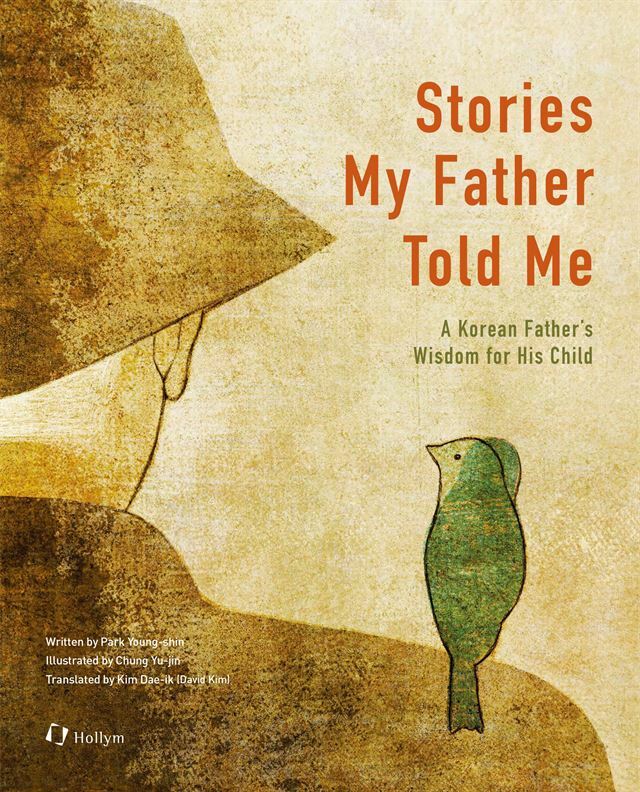 Park Young-shin, author of "Stories My Father Told Me: A Korean Father's Wisdom for His Child," said her late father's legacy lives on in every corner of her life. Although he died nearly a decade ago, Park, 62, said her fond childhood memories have inspired her to walk the talk. Her father, Park Jung-heun (1914-2010), encouraged his five children to "work hard, do the right thing, never turn a blind eye to injustice and be there for those who are in need." "Stories My Father Told Me" is a memoir of her father and revisits stories she heard from him since her childhood. The Korean book was published in 2013, three years after her father died of complications from a stroke. He was 97. Last year, the book was translated into English and the English edition was released in December. Park, also a professor in the Department of Education at Inha University, said her father was a superhero who made something out of nothing. "He was an ordinary farmer with a humble background," she said during a recent interview with The Korea Times. "He was not well educated but he was a wise man. His internal world was remarkable. To me he was like a high mountain. He led by example and fed his children and got them to receive good higher education." His hard work and strong upbringing helped three of his children become university professors. Her father was a North Korean escapee. Born in 1914 in Pyongwon County, South Pyongan Province, he fled his hometown after the outbreak of the 1950-53 Korean War. He settled down in the southeastern rustic county of Yeongcheon, North Gyeongsang Province, and made a living growing apple trees. The war had separated him from his parents, causing him to miss them all his life. As an apple farmer, he started from scratch. Park said her father was a strong man who had survived 12 life-threatening incidents, including asthma and stomach cancer in his 80s. She said her father was a storyteller, too. "When I was young, I used to listen to stories he told me on his lap," she said. "Some of them were told several times. But I was never bored. I was a mediocre girl with no particular talent for anything. I came to build self-esteem because of my inspiring father." Park Young-shin, author of "Stories My Father Told Me: A Korean Father's Wisdom for His Child"
Like other people of his time, her father became part of Korea's tragic modern history. He spent his childhood and young adult years during Japan's colonial rule. He witnessed Japan's brutal crackdown on protesters during the March 1 Independence Movement in 1919. "(The protestors) were tied together by their topknot and dragged down the streets, bleeding from stab wounds," the book reads. The young boy watched the scene hiding behind a zelkova tree, shivering and barely breathing. Japan's brutal colonial rule came to an end in 1945 with the victory of the allied forces. But the joy of liberation didn't last long as the Korean War followed a few years later. Professor Park said Koreans of her parents' generation were unsung heroes. "I think Korea was able to rise from the ashes of the Korean War and achieve miraculous economic growth afterwards, thanks to the older generation who sacrificed their lives for their children and got them to have higher education," she said. "In a country like Korea that was not endowed with rich natural resources, human capital was the key driver behind the country's transformation into an economic powerhouse from a war-torn country." The author hopes the descendants of Korean emigrants overseas will read the English edition of her book. "In January 1997, I visited Toronto, Canada, on a business trip," she said. "There I met many Korean emigrants. Their lives were stable, owing to their years or decades of hard work and few of them were worried about making ends meet. But very few of them were happy." Park said she found a deep generational and cultural gap between the parents and their Korean-Canadian children that caused the older generation to have a hard time communicating with them. "The older Koreans said they chose to emigrate to Canada mainly because of their children and they wanted their children to get a better education and lead better lives," she said. Their Canadian dream, however, went nowhere. While the first-generation Koreans struggled to adjust to Canada because of the language barrier and culture shock, their children were smoothly assimilated into the country. "So in addition to a generational gap, a cultural gap was formed between parents and children." 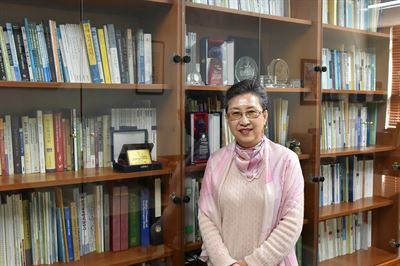 Park said her English book can play a bridging role and help the younger generation of Korean emigrants who don't speak Korean better understand Korean culture.